In the world of “super natural” eating, hemp seed benefits have been known for years. And now Hollywood has heard the word and hemp seeds are the hot new superfood. But for good reason too! Hemp seeds are one of the healthiest and most nutritious foods you can eat. Hemp seeds are actually an incredibly nutrient-dense “superfruit” that look a little like itty bitty sunflower seeds. They are tiny and roundish with a mellow and slightly nutty flavor but, unlike nuts, they are soft in texture. They look a lot like sunflower seeds but taste sort of like pine nuts, minus the crunch. Hemp seeds are one of those foods that are pretty hard not to like. You can buy hemp seeds at natural food stores or online from Nutiva.com. What Are Hemp Seed Benefits? Hemp seeds Nutrition Facts get an A++! Hemp seeds deliver a hefty dose of omega-3 and omega-6 fats. Importantly, hemp seeds (hemp seed oil too!) have a highly favorable omega-3 to omega-6 ratio and possess potent anti-inflammatory properties, thus making hemp a great food for anyone with inflammatory conditions such as asthma, multiple sclerosis, arthritis, eczema, psoriasis, and seasonal allergies. Along with borage oil, spirulina, black currant oil, and evening primrose oil, hemp seeds and hemp oil are one of only a very few sources of GLA (gamma-linolenic acid). GLA is a super special type of highly anti-inflammatory omega-6 “super fat” that not only reduces inflammation but also supports a healthy metabolism, nourishes your hair, skin and nails and even helps regulate hormones. While it is true that the average Western diet obtains too much omega-6 fat from foods like corn oil, soybean oil, “pure” vegetable oil, etc. these vegetable oils contain an omega-6 fat called LA (linolenic acid) rather than the GLA anti-inflammatory “super fat” found in hemp seeds. LA is entirely different than GLA and unlike LA, GLA is very difficult to get from a normal diet. In fact some naturopathic physicians actually prescribe GLA supplements (such as evening primrose oil) to improve sensitivity to insulin and assist with weight loss, to reduce blood pressure and to reduce hormone-mediated nuisance symptoms (bye-bye PMS or hot flashes). Hemp seeds are among the very few non-supplement food sources of “super fat” GLA. Hemp seeds also pack a mighty protein punch! The protein from hemp is considered the “Gold Standard” of plant protein because it is particularly easy to digest (no bloating, gas, constipation, etc. ), is rich in essential amino acids, is very unlikely to cause allergies and is particularly rich in zinc, iron and magnesium. It’s worth noting that 3 tablespoons of hemp seeds pack 11 grams of protein. In fact, whenever someone asks me what my favorite protein shake is I say hemp seeds—for taste and nutrition! There’s no reason to buy fancy, expensive, tasteless and processed protein powders when you can simply add “whole” hemp seeds to water along with fruit (greens too if you like!) and blend the whole thing up in a high speed blender. 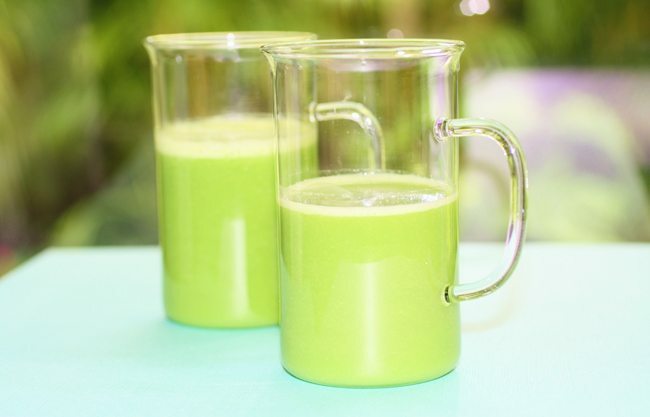 One of my favorite protein-rich smoothies is the Green Goddess Hemp Smoothie (see recipe below.) And of course like all plant foods, hemp seeds also contain disease-fighting phytonutrients as well as fiber. Place all ingredients in a high speed blender (such as a Vitamix) and process until smooth and creamy. Hemp Milk Makes a Great Alternative to Cow’s Milk! You can also use hemp milk as a much more nutritious and “clean eating” substitute for cow’s milk. Unlike soy milk or almond milk, hemp milk has a richer consistency similar to dairy milk and I actually prefer it as my “milk” of choice. 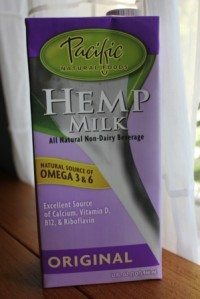 You can buy hemp milk ready-made, such as Pacific Natural Foods. In a high-speed blender, puree all ingredients until smooth. Store in a covered container in the fridge for 2 to 3 days at most. Shake well before drinking. If you want to make hemp “cream” simply reduce the water. Without a doubt, adding “superfood” hemp seeds to your diet on a regular basis will boost your health and overall nutritional profile!